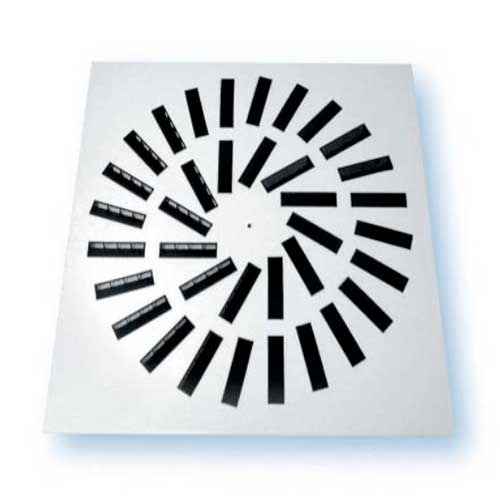 Our range of Swirl Diffusers is easy to install and offers superior power efficiency. The products are made in accordance with the set global standards. These products have fully adjustable air pattern blades for supplying air properly. The adjustable vanes attached to these products are capable to solve the problems regarding the supply of warm and cool air into the modem office application. The products are manufactured from pressed sheet steel with adjustable aluminum vanes. We are recognized as a leading Manufacturer, Trader, Exporter and Supplier of high quality Clean Room Equipment, Air Cooling System, Industrial Filter etc. These products are highly known for their easy usage, durability and corrosion resistance.